You owe it to your ears to give them the gift of “Midwest Farmer’s Daughter” by Margo Price. The first country album to be released by Jack White’s (The White Stripes) Third Man Records label will hold your attention with its charm and wit and keep your coming back with its strong sense of melody. Fully cooked, completely original, yet familiar, this album hints at influences as varied as Loretta Lynn, Emmylou Harris and Skeeter Davis while also sounding very comfortable next to contemporaries such as Jenny Lewis and Neko Case. If you’re looking for a creative, vibrant, singer songwriter with country stylings, this album will not disappoint. 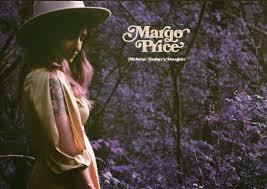 Check out Margo Price – Midwest Farmer’s Daughter album on CD.